With a train strike and traffic chaos looming, we’re calling all of Sydney to join us as we #BiketheStrike. With more than one million Sydneysiders living within a 30-minute ride of the city, now’s the perfect time to give bike riding a go. Best of all – riding a bike to work is quick, easy, cheap and not to mention good for you. You can save time and money while leaving the frustration of crawling traffic jams, costly cabs and packed buses behind. Go on, get pedalling. Who knows, you may just find you love it? The world doesn’t have to stop because the trains have. The City of Sydney are keen to keep the city moving and are offering a range of services over the next week to help out anyone who wants to ride to work on Monday. Make sure your bike is in perfect working order with a free tune up this Thursday 25 January at Prince Alfred Park. There’s nothing worse than an avoidable mechanical to ruin a good ride. Sometimes it’s not easy knowing where to go. Luckily, Sydney Cycleways offers a instant journey advice through their Facebook messenger. Drop them a line or check out their free cycling maps. Don’t have a shower at work? City of Sydney swimming pools will provide free access and changing facilities to anyone riding, walking or running to work on the day of the train strike. 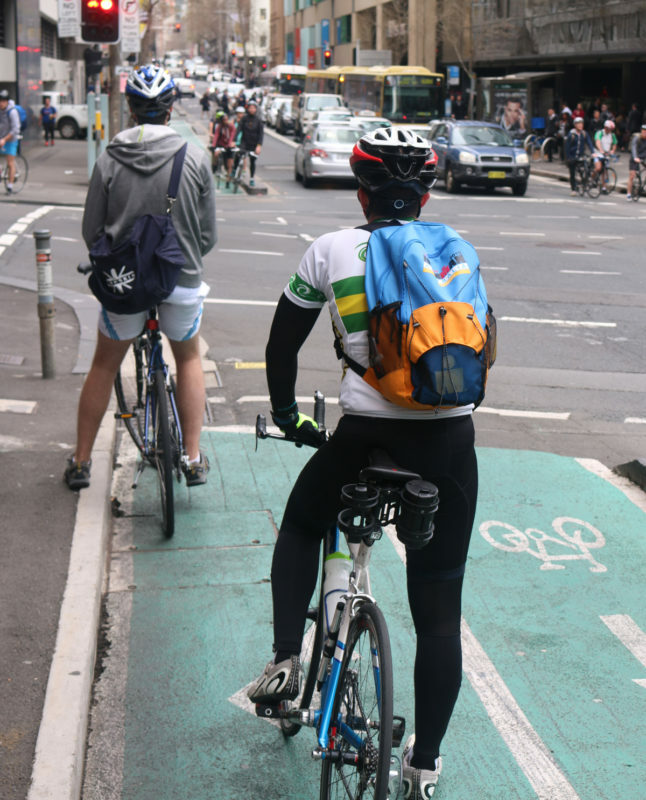 For more tips and advice from the City of Sydney, check out their handy Bike the Strike website. Riding to work doesn’t have to be complicated. Here’s three key steps for any first-time commuters. Find a bike, set it up to your size and ensure it’s in top working condition. This includes checking the tyres, brakes, lights and bell. Watch how this can be done in a few easy steps. Plan your route and check it out in advance with a trial ride. 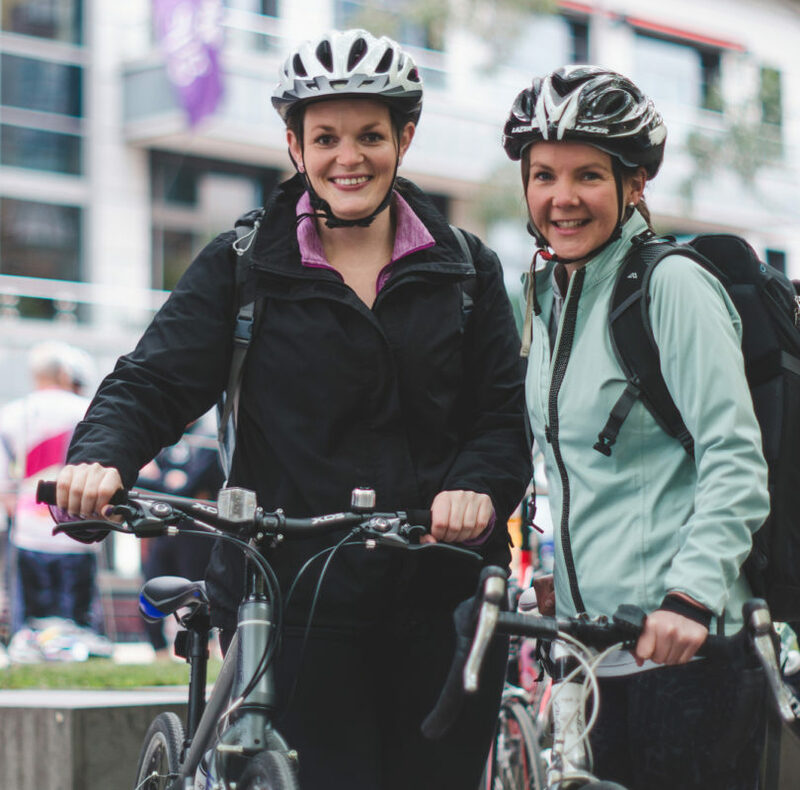 Chat to regular riders at your workplace and ask for advice on the best riding routes, where to park your bike and where to shower (if you think you’ll need to). For more tips and advice, check out our Ride2Work resources. includes legal support and some awesome member perks! As regular riders this is our chance help even more people discover why bike riding really is the best way to get around. We’re looking to the bike community to unite and help out those who may be keen to give bike riding a go. 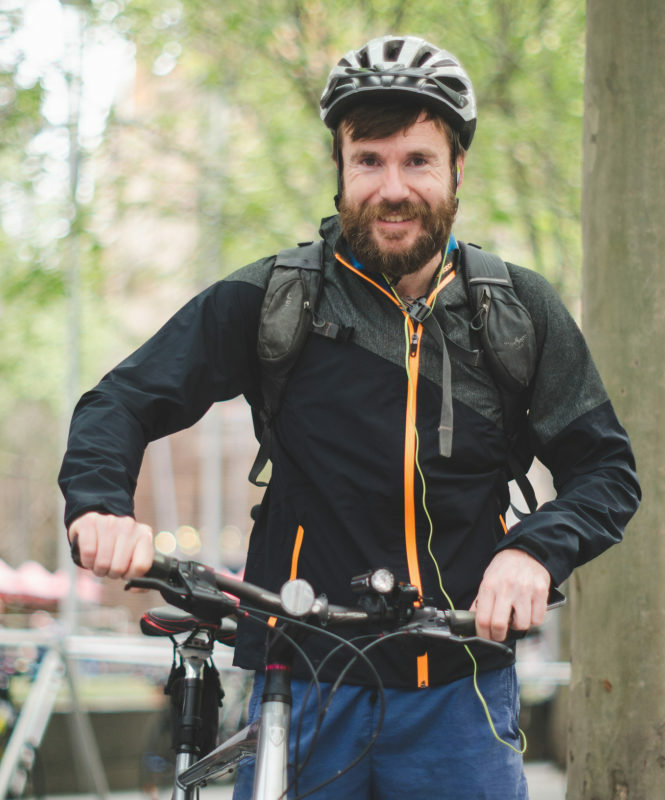 Whether you’re a BUG, club or individual – host a Ride2Work bike bus on Monday to help out those who may be too nervous to commute to the city alone. Simply share the details of your ride using #bikethestrike and tag us below. Ride from Edgecliff station – Meet at 7:45am, for an 8am start out the front of Edgecliff Station to cycle with Bicycle Network and members of BikeEast to the city. For more details and the specific route, visit the event on Facebook. Riding is always more fun with mates so why not buddy up with a friend, colleague or neighbour and help them give bike riding a go. Helpful advice and a friendly word of encouragement can go a long way.